I've seen a lot of discussion about digital books - also called e-books - around the internet lately. I'm an avid reader and I think it's really interesting to watch as the form of literature consumption evolves. Most of the posts I've seen prefer either books or digital books. But I, on the other hand, love both! Why not? Why does everything have to turn into this or that? Why can't both forms continue? The convenience of digital books is awesome. I can get into a good book series and the moment I finish a book I can start downloading the next book in the series and be reading it within a minute. Not to mention that most digital copies of books are cheaper than psychical copies. Digital books can all be contained within one device and I carry around my ipod touch almost everywhere anyway so now I have a multitude of books at my fingertips. The ipod touch has backlighting too, which means I can read in the dark. The kindle app syncs up with a regular kindle as well, so I know it's only a matter of time until I buy one, especially with the latest price drop. But, then again, there's nothing quite like holding a paperback in my hands as I read. 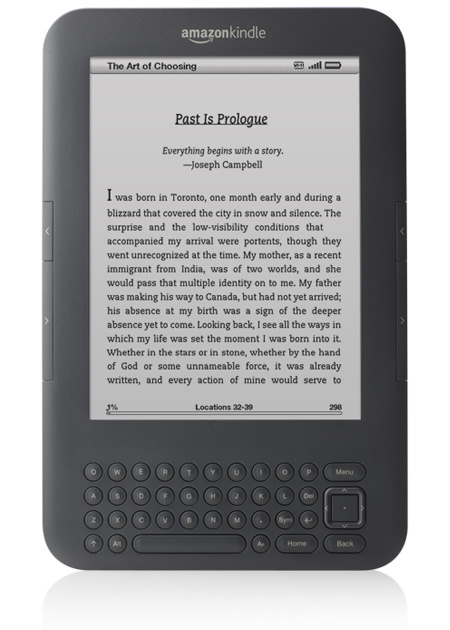 Seeing the layout, font design, and physical paper pages can't be replicated on an e-reader. Sharing digital books is annoying, but all I need to do with a regular book is hand it to a friend and off they go. Another one of my joys is looking at the library of books on my bookshelf, which can only be done with conventional copies of books. 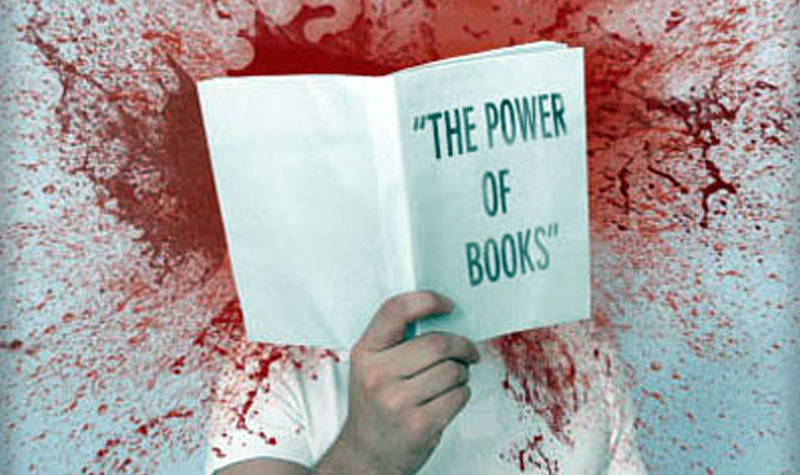 Conventional books don't require a power source to read either. I've had my ipod touch die on me in the middle of reading a book and it was extremely frustrating (I was at a really good part). I also have a secret fear that if the world comes to an end and I have all my books in only electronic form I won't have anything to read once the batteries die. Yeah, I'm not worried about the nukes falling, I'm worried about what to read afterward... my priorities are weird. What I've started to do is to buy books through my kindle application first and read them on my ipod touch. It takes up almost no space, it's cheaper, and I can read at night in the dark without keeping my wife awake with a light. Then, if the book was awesome, I go buy the physical book so that I have a copy to share and keep in my library. This has encouraged me to read more books from authors that I wouldn't have read if they cost full price. I can try them out for cheap before I commit to buying full-priced physical copies. A lot of authors have the first book in each series discounted to 99 cents in an attempt to lure in potential readers like me. What I really wish would happen is that publishers would start including a digital copy of the book with every physical copy that is purchased. That would be an amazing move, but I'm sure they would end up losing revenue because of it. Anyway, if you haven't tried an e-reader you really should. They are awesome pieces of technology. My favorite is the ipod touch/iphone kindle application, but the kindle itself is sweet too. Just don't count out conventional books, they're going to be around for a long time to come. And as a friend of mine said, don't the words inside the book matter more than the way it's delivered? Check your local library. Ours offers free digital downloads of books now. I'm torn on the digital/paper debate. 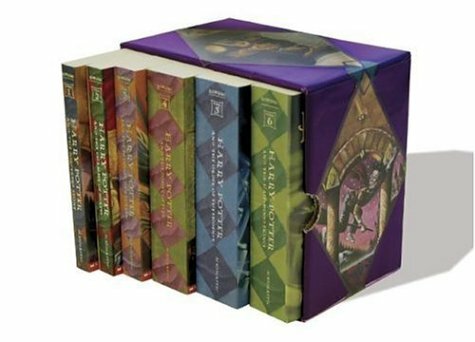 On the one hand, a digital book would be much easier to carry around and I wouldn't have to worry about scuffing up the cover or cracking the spine. But I really love the feel of a solid book in my hands and love having a big library of books to display at home. If I ever get an iPad I may try out the Kindle app, but I don't see myself reading books on my phone or buying an e-reader.